Being a spy is super difficult, managing spies is also difficult. What do you get when you mash the two hard things together? Phantom Doctrine. 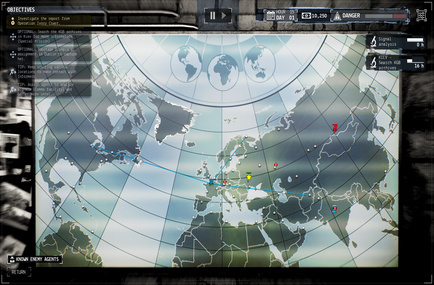 Check out the new Mission Debriefing trailer embedded above for a look at some of the gameplay. Phantom Doctrine launches on 14 August 2018. Cold War era strategy game Phantom Doctrine has a release date at last: 14 August 2018. The game will release on PC, PlayStation 4 and Xbox One for $39.99. Check out the press release below for more info because this message will self-destruct in 10 seconds. Super squishy platformer Semblance, developed by up-and-coming African studio Nyamakop, now has a confirmed release date of 24 June 2018 on PC, Mac, and Nintendo Switch. Check out the press release below for more info.